While some directors have found success in a single genre, others have perfected their craft so well that they can find success in multiple genres. Ridley Scott has directed many successful and memorable films over the years, which is practically a testament to his prolific repertoire as much as it is his artistic vision. It can be challenging to nail down what his most significant successes are to pigeonhole him into a genre. His science fiction films have been iconic, but he’s also received critical acclaim for historical pieces. From dark fantasies (Legend (1985)) to modern heist comedies (Thelma & Louise (1991) and Matchstick Men (2003)), Ridley Scott has done them all. This week’s two films highlight some of the early successes in Ridley Scott’s directing career. After his directorial debut with The Duellists (1977), Scott transitioned from historical drama to sci-fi/horror. 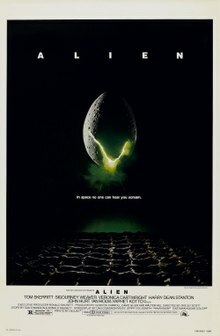 It is significant to note that, while Scott did not direct the direct sequels of Alien (1979) (a task given to James Cameron and David Fincher), he did retake the helm when it came time to reboot the series via the prequel films that started with Prometheus (2014). With the original director back in control, Alien: Covenant (2017) helped to continue the revitalization of the Alien franchise. Of course, with this much experience in directing plots set on alien worlds, it’s no wonder that his adaptation of The Martian (2015) also gained him a nomination for Best Picture. Sure, his historical epic, Gladiator (2000), actually won Best Picture, but since he didn’t also produce it, he only received a nomination for Best Director for his efforts. On the distant planet of LV-426, the crew of the Nostromo finds themselves the unwitting victims of the greed of their corporate benefactors. They soon learn the distress signal from the planet was a trap, and now one of their crew has been incapacitated by a face-hugging alien. After the alien falls off of its own accord, the alien bursts out of the crew member’s chest and runs away to hide in the ship. Picking off each member of the squad, one-by-one, the rapidly-matured alien is now on course to return to Earth, thanks to the android who was following the orders of the company that employs the Nostromo. As the only survivor, Ripley (Sigourney Weaver) arms herself to confront the indestructible beast loose on her ship. Few options remain for Ripley as she tries to escape while at the same time destroying the horrific alien. 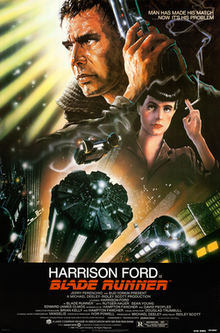 A mere three years after Alien was released, Scott knocked it out of the park again with Blade Runner (1982). Many hold his “Director’s Cut” of the film to be the best version, clearly showing his vision for the movie was better than the one Warner Brothers wanted to sell. Much like Alien, he left the sequel to Blade Runner in another director’s (eventually) capable hands. Even so, Denis Villeneuve’s Blade Runner 2049 (2017) is incredible, but still misses the spark of the Ridley Scott original. After all, Blade Runner was groundbreaking for its set design, a trend seen throughout Scott’s other films. Whether it’s Biblical Egypt in Exodus: Gods and Kings (2014) or the streets of Somalia in Black Hawk Down (2001), Ridley Scott takes us to these locations and immerses us in the settings, even if they’re in a future not yet arrived, like in Blade Runner. In the year 2019, android technology has become so advanced that it is near impossible to tell the difference between them and normal humans. Because these androids often act up, Blade Runners are employed to “retire” the robots and keep humanity safe. While many androids have a short lifespan, some of them are looking to extend their life. One such android is Roy Batty (Rutger Hauer), who has assembled a team of androids and returned to Earth to “meet their maker,” so to speak. Consequently, Rick Deckard (Harrison Ford) is put to the task of being the Blade Runner to take out these androids. He soon learns the standard emotional tests to distinguish androids aren’t sufficient, and he must use his skills as a former police officer to track down these androids and prevent them from killing any more people.